Founded with the visionary support of arts patron Mary-Leigh Smart and artist Beverly Hallam, and located on the coast of Maine, Surf Point Foundation is an inclusive residency program for visual artists and other professionals in the field. 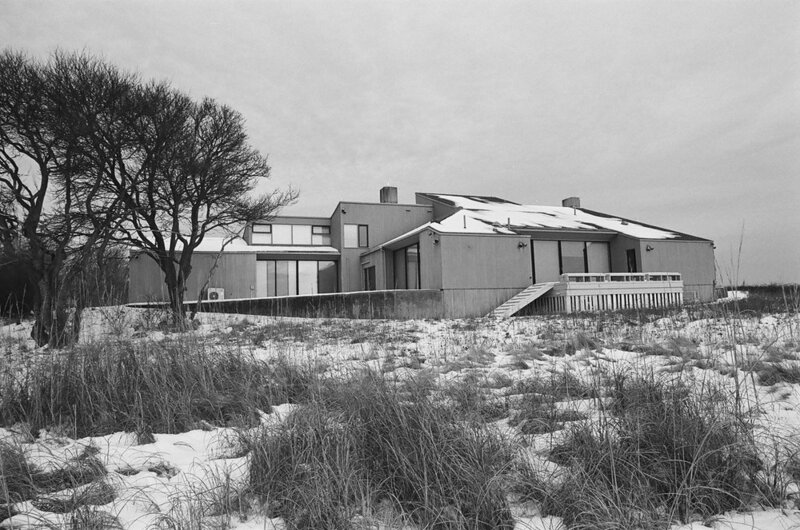 Surf Point is the brainchild of Mary-Leigh Call Smart and Beverly Hallam, who, in Mary-Leigh’s 1988 Trust, commemorated their vision to transform their duplex home and surrounding property into a residency for artists, art historians, architects, critics and designers upon their passing. Mary-Leigh Call Smart (1917-2017) was a passionate supporter of the the Maine arts community, and collected the work of many Maine-based artists. She was affiliated with the Barn Gallery, Bowdoin College Museum of Art, Farnsworth Museum, Ogunquit Museum of American Art, Portland Museum of Art, Skowhegan School of Painting and Sculpture, University of New England, University of New Hampshire, Wellesley College, and others. Her longtime friend Beverly Hallam (1923-2013), following a distinguished teaching career at Mass College of Art, moved to Maine in 1963 to work as an artist. An early experimenter with acrylics, she produced a wide range of works in many media including painting, photography, and graphic arts. Her key papers and notebooks are housed within the Smithsonian's Archives of American Art. A film was made about her work as part of the Maine Masters series, sponsored by the Union of Maine Visual Artists, and a monograph by Carl Little, “Beverly Hallam: An Odyssey in Art,” illustrates her life and work. For nearly fifty years, Mary-Leigh and Beverly lived at Surf Point, a modern home designed by Carter + Woodruff in 1971 and set 25 feet from the ocean. Up the rise from Surf Point is Wild Knoll, a 20th century colonial revival in which the poet and writer May Sarton lived from 1974-1995. The buildings are set within 44 acres of coast, forest and vernal pools, protected by a Conservation Easement and stewarded by the York Land Trust. Mary-Leigh and Beverly had a zest for life and a spirit of adventure, generosity, curiosity, and humor that imbues Surf Point with special meaning. We look forward to sharing that with the residents and guests that spend time on this site. Oceanfront property in York to become a retreat for artists and writers (Mainebiz.biz, 9.10.18). Artists' Colony Becoming a Reality (Seacoastonline.com, 9.4.18). May 4-June 29, 2018: Dorothea and Leo Rabkin Foundation shows works by Beverly Hallam in "Celebrating Maine's Artist-Endowed Foundations", with representation by the Ellis-Beauregard Fdn, Joseph A. Fiore Art Center, Heliker-LaHotan Fdn, Bob Crew Fdn, Kenneth Noland Fdn and Stephen and Palmina Pace Fdn. Surf Point Foundation is a proud member of the Alliance of Artist Communities. Surf Point Foundation is a 501c3 private non-operating foundation registered in the State of Maine. Our full financial information can be found on our Guidestar Profile. Please be in touch with us if you are interested in making a donation of any kind, or if you would like to sign up for our email list. We can be reached at info[at]surfpointfoundation[dot]org or by mail at: Surf Point Foundation, P.O. Box 446, York, ME 03909-0446. Welcome to Surf Point! Photo by James Trainor. View to the North from Surf Point. Photo by Danny Gugger. Exterior of Surf Point, looking into the living room. Photo by James Trainor. The Pool Room, to serve as live/work space for one resident. Photo by James Trainor. Pool Room. Photo by Danny Gugger. Ocean view from the “Pool Room”. Photo by James Trainor. The Surf Point deck. Photo by James Trainor. Second floor former Guest Room, to serve as a studio space. Photo by James Trainor. Beverly Hallam’s former studio, to serve as a resident studio space. Photo by James Trainor. Another shot of Beverly’s Studio. Photo by Danny Gugger. View of Surf Point from the water. Photo by Danny Gugger.